According to the official statistics, in Jan – June 2010, total export and import value of textile machinery was USD 2.659 billion, increased by 51% compared to the same period last year (i.e. 2009). Among that, the export value accounted for USD776 million while the import value was USD1.883 billion, showing year-on-year rise of 38% and 56% respectively. The growth rates record an increase of 70% and 106 % respectively in comparison to last year, providing an ironic fact that the recovery of textile industry shows no signs of slowing down. 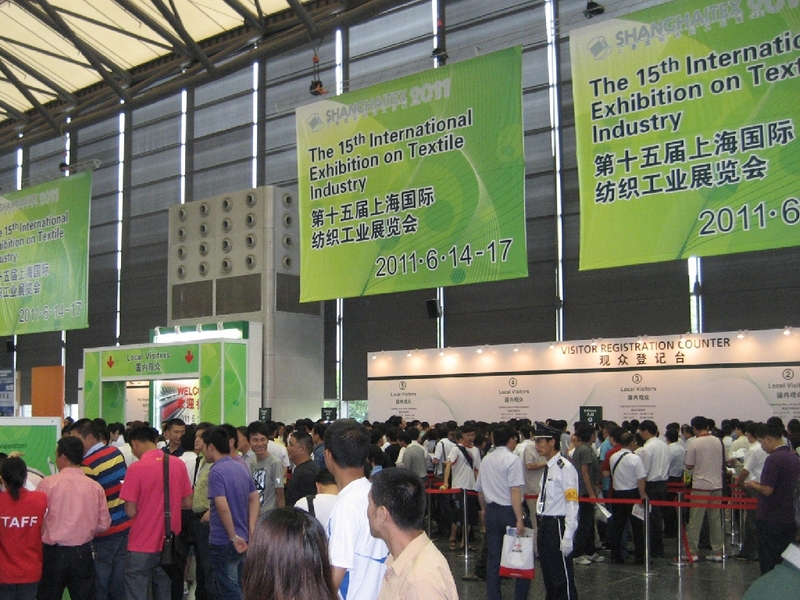 The robust demand from both the international market and the domestic market accelerates the exhibitors’ recruitment process of the 15th International Exhibition on Textile Industry (ShanghaiTex 2011), which will be held at Shanghai New International Expo Centre, Pudong, Shanghai during June 14 – 17, 2011. The exhibition has continued to enjoy overwhelming responses from exhibitors, especially in the “Knitting & Hosiery Machinery Zone”, which has been fully booked and reserved by renowned industry players, on top of Italy’s Santoni, Germany’s H. Stoll, Germany’s Groz Beckert, Singapore’s Falmac Machinery, Conti Complett, Japan’s Shima Seiki; established companies such as Nan Sing, Ningbo Yuren have also confirmed their participation. Apart from the “Knitting & Hosiery Machinery Zone”, other zones also receive positive feedbacks from well-known companies. To name a few, Hong Kong’s Fong's, Gofront, Germany’s Thies, Denmark’s Danfoss, Italy’s Brazzoli participate in “Printing, Dyeing & Finishing Machinery & Textile Chemicals Zone”. Mazuoli, Itema Savio join at “Spinning, Nonwoven & Techtextile Machinery Zone”. Switzerland’s Jakob Mueller, Runyuan, Karl Mayer exhibit at “Warp-Knitting, Embroidery & Weaving Machinery Zone”. The booming response can be further explained by the encouraging export data in different categories in the textile machinery and the related industry. The top export value of its kind is knitting machinery which reached USD217million, contributing to 28% of the total, followed by auxiliary device & spare parts, printing, dyeing & finishing machinery, chemical fiber machinery, spinning machinery, weaving machinery, non-woven machinery, weaving preparatory machinery. The weaving preparatory machinery sector, it shows a year-on-year rise of 226 %. 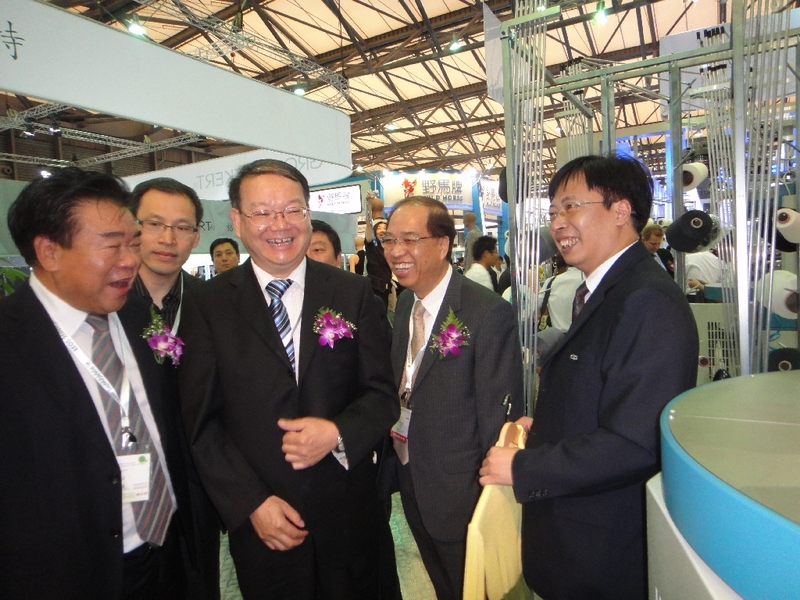 The data further proves why ShanghaiTex has received overwhelming support in the 2011 edition. ShanghaiTex aims to promote textile trade and technology through its unique exhibition platform. With the goal to further enhance the know-how of the textile industry, the organizers have collaborated with key exhibiting enterprises to hold the fashion parade concurrently onsite. Exhibitors, such as Germany’s H. Stoll – an established German company specializing in producing flat knitting machines for more than 135 years; Hong Kong’s Chemtax--the agent of leading European textile machineries brands; Italy’s Santoni S.P.A--- the worldwide leader of seamless underwear machineries; Japan’s Shima Seiki – one of the world’s manufacturer of computerized flatbed knitting machines, will join hands to present the latest technology and newest materials to demonstrate the development and the achievements of the industry. Since its debut in 1984, ShanghaiTex’s unique national brand with modern management has further strengthened its pioneering role in textile industry. It is expected that the exhibition area will be over 92,000 sqm and more than 1,000 local and overseas exhibitors will participate. To facilitate buyers’ sourcing and create business networking opportunity at one place, 5 theme zones will be set up. Having over 26 years of history, the forthcoming 15th International Exhibition on Textile Industry (SHANGHAITEX 2011) will be staged again at Shanghai New International Expo Centre, Pudong, Shanghai during June 14 – 17, 2011. SHANGHAITEX is a biennial event taking place in Shanghai every odd-numbered year. For the coming attraction, the show will occupy 8 exhibition halls, covering several theme zones namely “Knitting & Hosiery Machinery”; “Printing, Dyeing & Finishing Machinery”; “Textile Chemicals; Spinning, Nonwoven & Techtextile Machinery”; “Weaving Machinery and Spare Parts & Accessories”. This year, Warp-Knitting & Embroidery Machinery Zone will be newly set up in response to the raising support and demand from industry. The strong confidence of textile machinery makers on ShanghaiTex and the long-term prospects of the textile industry in Asia is evident from the overwhelming response of booth application by exhibitors. The organizers are glad to announce that the Knitting Section is almost fully booked by renowned industry players such as Hong Kong’s Chemtax Industrial Company Ltd, Sinotech Asia Ltd, Germany’s H. Stoll GMBH & Co. KG, Switzerland’s Grob Textile AG, Singapore’s Falmac Machinery (Tianjin) Ltd, Italy’s Santoni S.P.A, L.G.L.,BTSR International S.P.A and Conti Complett S.P.A, Japan’s Shima Seiki Mfg., Ltd and other reputable local and abroad companies. For the Dyeing and Finishing Sector, reputable companies including Fong’s, Thies, Danfoss, X-rite, Asia Kingdom, Gofront, Starlam, SDL, Zimmer, Schneider, Setex and Siltex etc have either confirmed or reserved their exhibition booths at ShanghaiTex 2011. The good response from worldwide companies echoes the fact that the textile industry has been recovering in an upward spiral trend. Textile industry has suffered in the previous year due to global financial crisis, but with the support of China government in past year and the hints of worldwide economic recovery recently, it is observed that the industry is picking up gradually. According to the figures of China Customs, export of textile products and apparel reached USD70.21 billion in Jan-May 2010, increased by 19.3% comparing with the same period of last year. Among that, the export amount of textile products and apparel reached USD28.56 billion & USD41.65 billion respectively, representing a 29.7% & 13.1% growth respectively than the same period of last year. Last edition held in 2009, the show was supported by 16 provinces in China, including Zhejiang, Jiangsu, Fujian, Anhui, Hunan, Sichuan, Jiangxi, Heilongjiang, Henan, Guangdong, Shandong, Guizhou, Shanxi, Xinjiang, Yunnan, Hubei, etc. Nearly 20 local and overseas textile associations organized buyer delegations to the show, such as Indian Textile Confederation, Indonesia Textile Association, Japan Fiber Association, Korea Textile and Apparel Association, etc. Being the long-standing exhibition in China, ShanghaiTex is rooted in Shanghai with influences spanning over China since 1984. Benefited from the recovery of textile industry and the surging demand, ShanghaiTex2011 is expecting an exhibition area of over 92,000sqm and the participation of 1,000 exhibitors. Sponsored by Shanghai Textile Holding (Group) Corporation, China Council for the Promotion of International Trade Shanghai Sub-council and China Chamber of International Commerce Shanghai Chamber of Commerce, ShanghaiTex is organized by Shanghai International Exhibition Co Ltd., Shanghai Textile Technology Service & Exhibition Centre and Adsale Exhibition Services Ltd. The biennial premiere textile event, the 15th International Exhibition on Textile Industry (ShanghaiTex 2011) opens today at Shanghai New International Expo Centre, Pudong, Shanghai. The 4-day show will open from June 14th to 17th, 2011 and is expected to attract 50,000 trade visitors, including 6,000 overseas visitors from all over the world. More than 20 buyer groups organized by local & overseas associations and corporations will source at the exhibition. Being one of the most important industries in China, the textile industry has been listed as one of the prioritized areas for transformation by the Chinese Government in the 12th Five-Year Plan (2011-2015) in order to enhance, optimize and upgrade the production capacity and support textile waste recycling. Having the responsibility to comply with the policy, ShanghaiTex 2011 has provided a perfect platform for industry players to demonstrate their latest innovation on energy saving and low carbon emission technology and users to renew their production facilities. ShanghaiTex 2011 has gathered more than 1,000 exhibitors from 23 countries and regions including Austria, Bangladesh, Canada, Czech Republic, France, Germany, Hong Kong SAR, India, Israel, Italy, Japan, Korea, Holland, Pakistan, Mainland China, Singapore, Spain, Switzerland, Thailand, Taiwan, Turkey, United Kingdom and the USA. 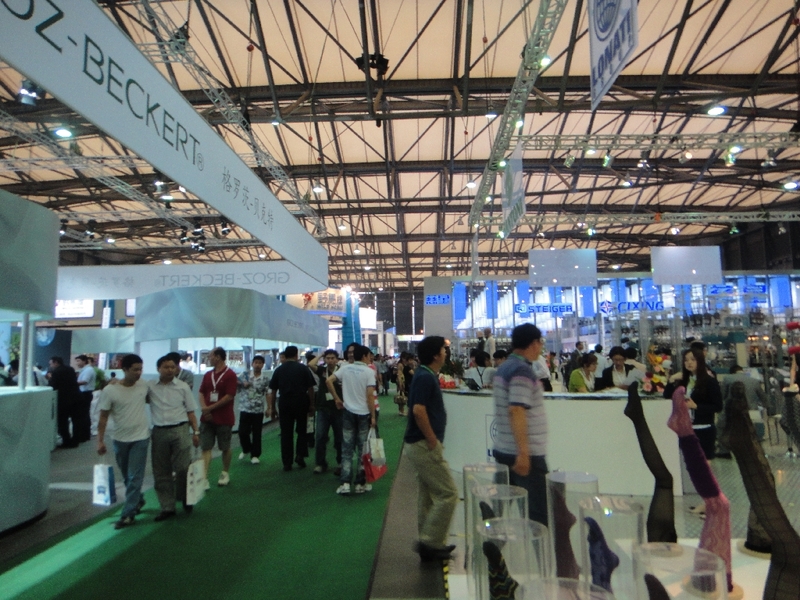 Occupying 8 exhibition halls, ShanghaiTex 2011 has an exhibition area of 92,000 sqm. Among the exhibitors, near 400 enterprises come from knitting, dyeing and finishing sectors, accounting for over 50% of the total exhibiting area. Green and innovative exhibits are one of the highlights, which meet the needs of enterprises for transformation and upgrading. Overseas and local renowned exhibitors include: China Hi-Tech Group, Pacific Mechatronic Group, Italy's Santoni, BTSR, Germany's H. Stoll, Groz-Becker, Karl Mayer, Terrort, Japan's Shima Seiki, Hong Kong's Nan Sing, Ning Bo Cixing, Ning Bo Yuren, Switzerland's Santex, Hong Kong's Fong's, Gofront, Germany's Thies, U.S.A's X-rite, Italy's Brazzoli, Korea's IL Sung, Itema Savio, Truetzschler, Marzuoli, Uster, Italy's SEIT, Lamiflex, Switzerland's Jakob Mueller, Runyuan, Barudan, Qingfang, CMT-Hicorp, Beijing Chonglee, Tianmen, Shannxi Baocheng, RIFA, Ningbo Dechang, Changshu Jinlong, Zhejiang Feihu, Hangzhou Honghua, Shandong Companion Group, Fujian Xingang, Changzhou Diba, Changshu, Yantai S&S, Shanghai Keycheng, Lianyungang Yingyou, Huangshi, Shanghai Juxin, Zhongshan Hung Jyi, Jilong, Sanyou Holding Group, etc. 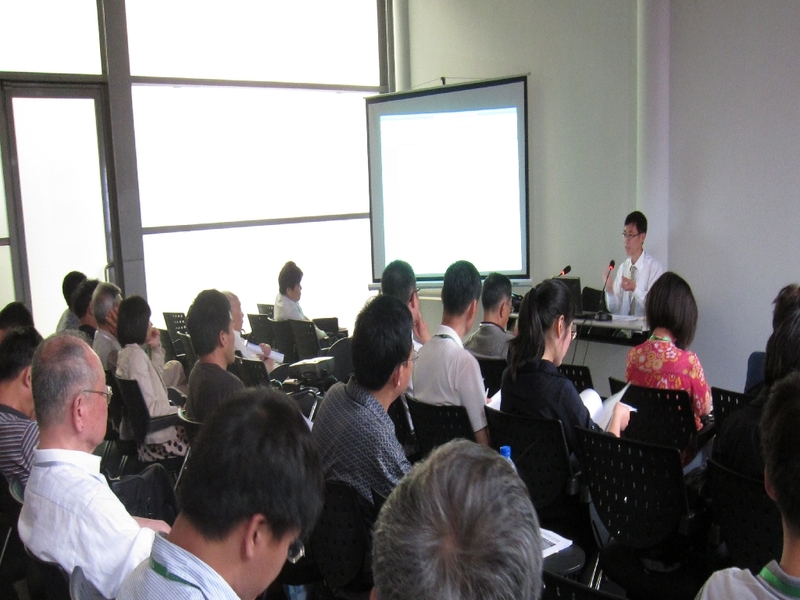 "The 2nd China Textile Industry Summit" was successfully held on June 13, 2011 at Shanghai New International Expo Centre, which was one day prior to the opening of ShanghaiTex 2011. The summit's keynote speakers discussed the topic on "Strategic Transformation – Build Up a Strong Nation for Textile Industry". The summit focused on the analysis and interpretation of the 12th Five-Year Plan at different perspectives. It was widely recognized to be beneficial to textile enterprises who would like to undergo transformation and upgrade their production capacity. The Summit was supported by China Textile Industry Association, Shanghai Textile Association and sponsored by Shanghai Textile Holding (Group) Corporation, China Council for the Promotion of International Trade Shanghai Sub-council and China Chamber of International Commerce Shanghai Chamber of Commerce. It was organized by Shanghai International Exhibition Co., Ltd, Shanghai Textile Technology Service & Exhibition Centre and Adsale Exhibition Services Ltd and co-organized by China Textile News. Benefited from the strong global market demand and its established reputation for almost 30 years, ShanghaiTex 2011 has brought together a group of textile experts to share and discuss the latest technology by delivering various sparkling concurrent events that excite visitors. Highlighted seminars include a technical seminar on "New Dye & Finishing Technique and Eco-friendly Chemicals" and a professional seminar on "The Latest Technology, Equipments and Products of Weaving Industry". A series of seminars including topic "Innovation and Prospect of Modern Carding Machine" etc will be organized during the 4-day exhibition. Key exhibitors such as Stoll, Karl Mayer, Santoni, Aotu, Cixing, Chemtax and Shima Seiki, Pacific Mechatronic (Group), Truetzschler Textile Machinery etc will demonstrate their latest technology by participating at various technical networking events. ShanghaiTex is the most historical textile exhibition in China and has become a precious national brand. Over the past 27 years, ShanghaiTex has been growing & developing with the China textile industry, and the show has been striving to provide a professional business platform for textile machinery manufacturers and buyers as well as users. This year, it is expected that the total number of trade visitors will reach 50,000, in which 6,000 visitors will come from overseas. More than 20 overseas and local trade delegations have confirmed to visit and source at ShanghaiTex 2011, including Vietnam Chamber of Commerce and Industry (VCCI), Hong Kong Productivity Council (HKPC), visiting groups from India, Indonesia, Korea, Pakistan, Thailand, Turkey, Mauritius and Morocco as well as sourcing groups from China Foshan Zhang Cha, Shantou, Liang Ying, Li Shui, Nan Hai, Shenzhen, Pujiang, Zuji, Quanzhou, Changle, Xinjiang, Shandong Lutai, Jiangsu Sunshine, Shenhong Group, etc. Led by Fujian Province Changle City Deputy Mayor, a group combined by Changle Textile Bureau, Changle Economic and Trade Bureau, Changle Warp-Knitting industry Association, Cotton Textile Association, Chemical Fiber and Textile Association, Dyeing and Finishing Association and more than 130 experts and entrepreneurs will gather together by chartering a flight to visit ShanghaiTex 2011. A press conference with theme "The 12th Five Year Plan" Development in the Fujian Changle City Textile Industry and Technical Transformation Plan" will be held in the afternoon on Jun 14 concurrently at ShanghaiTex 2011. The event will introduce the investment project of RMB 65 billion on the cotton textile industry, dyeing and finishing industry, chemical fiber industry, warp knitting industry. The textile players from different regions have good expectations on this high profile event. In the afternoon on Jun 15, a networking session for key exhibitors and overseas buyers will be dedicatedly held by the organizers. 20 high quality manufacturers, traders, importers and some retail brands from various countries such as India, Mauritius, Morocco etc which are in the knitting, dyeing and finishing industries are invited by the organizer. These genuine buyers will meet with more than 30 key exhibitors for direct face-to-face business matching. Besides, ShanghaiTex 2011 has received strong support and sponsorship from the textile associations of various provinces, cities and autonomous regions such as Zhejiang, Jiangsu, Fujian, Helongjiang, Jiangxi, Anhui, Xinjiang, Hunan, Henan, Shandong, Shanxi, Guizhou, Guangdong, Sichuan, Yunnan, Hubei. What's more, large scale and renowned textile enterprises from different parts of the world will visit ShanghaiTex 2011 too. For example, Crescent Textile Mills(Pakistan), Maruthi Clothing Company(India), Brandix Lanka (Sri Lanka), Cotton USA (USA), The Thai Silk (Thailand), Sumiya Cottage(Bangladesh), P&G (U.S.A), Asahi Kasei Fibers (Japan), H&M (Hong Kong), Texwood & Apple (Hong Kong), Li & Fung(Hong Kong) and many more. Many of the top 500 Chinese textile enterprises, such as Guangdong Xinhui Meida Nylon, Toray Sakai Weaving & Dyeing (Nantong), Shijiazhuang Changshan Textile Group, Yunfu Group, ShanXi Greenland Textile, Jiaozuo Hai Hua Textile, Sunvim Group, Zhejiang Spring Textile, Yantai Spandex, Dupont China Holding, Jiangsu Textile Group, Xinjiang Snow-lotus-mountain Cashmere, Wuhan Yudahua Group, Shandong Euro-America Home Textile, Hai Ning Guo Da Warp Knitting, Nantong Twelfth Cotton Textile, Jiangsu Kaili Carpet, Kunshan Dahmei Weaving, etc. have confirmed their visit to ShanghaiTex 2011. 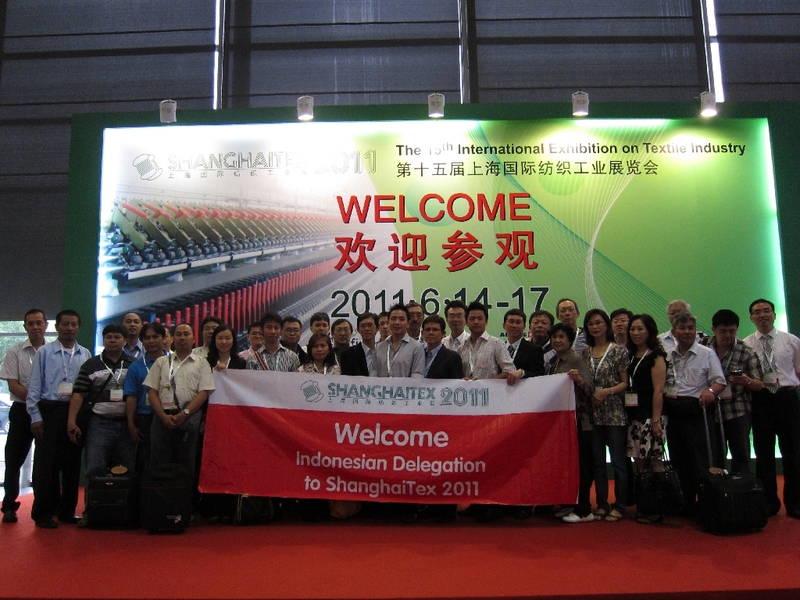 Starting from 1984, ShanghaiTex is being held biennially in the odd-numbered years in Shanghai, PR China. ShanghaiTex 2011 is sponsored by Shanghai Textile Holding (Group) Corporation, China Council for the Promotion of International Trade Shanghai Sub-council and China Chamber of International Commerce Shanghai Chamber of Commerce, ShanghaiTex 2011 is organized by Shanghai International Exhibition Co Ltd., Shanghai Textile Technology Service & Exhibition Centre and Adsale Exhibition Services Ltd. Interested parties please visit www.ShanghaiTex.cn or http://www.ShanghaiTexOnline.com for more information about ShanghaiTex 2011.